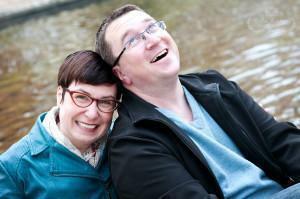 One of the things we loved most about our time in Belgium was visiting the many castles dotted around the country. 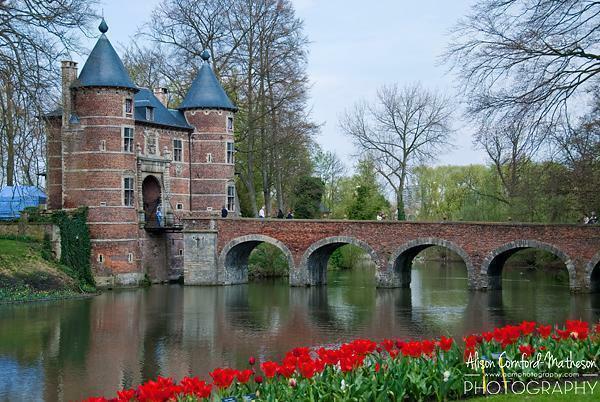 It is said, Belgium has more castles per capita than France. We’re not sure if this is true but we do know they are a lot less spread out and, therefore, easier to visit. 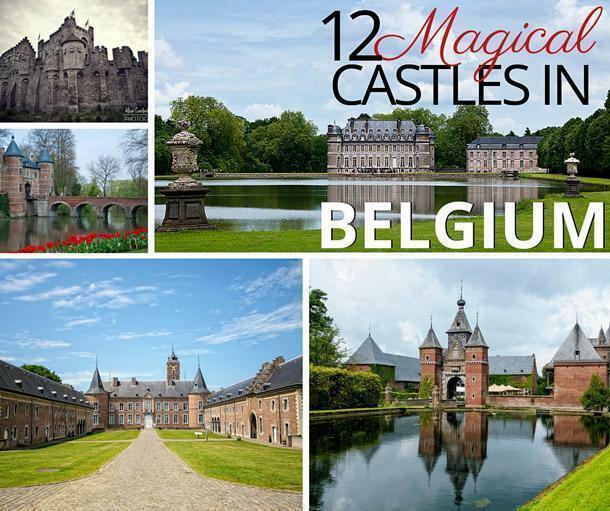 While we already have a detailed list and map of most of the castles, chateau, and fortifications around the country, today we wanted to share our favourite castle visits in Flanders and Wallonia, to inspire your own travels in Belgium. Be sure to click on the links to learn more about each of the castles listed here and immerse yourself in many more photos. 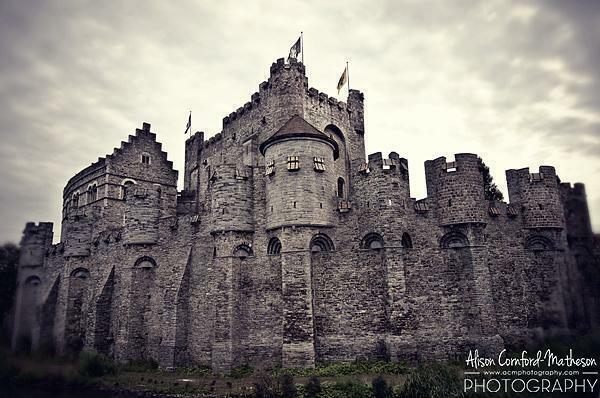 The Gravensteen Castle (Castle of the Counts), in the Flemish city of Ghent, has everything you would imagine in a medieval castle: strong stone fortifications, towers, a moat, and even a creepy torture museum inside! 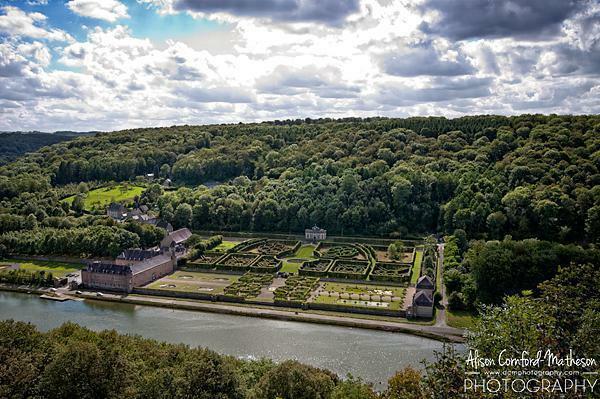 The grand Chateau de Freÿr stretches beside the Meuse River, in Wallonia’s Namur province. Its French-style formal garden is best viewed from above, from the opposite side of the river, to fully appreciate its design. 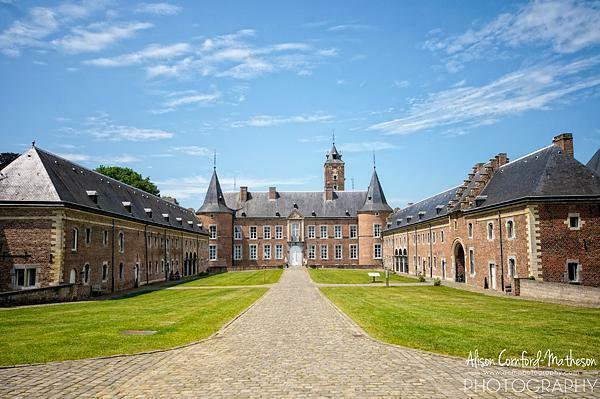 Alden Biesen Castle, in Limburg, Flanders, is the most romantic castle we’ve visited, with its sprawling rose garden and pretty turrets. You can learn all about the less-than-romantic history inside the small but well-maintained museum. It also gets bonus points for being very close to Brussels, but sadly is only open to the public for a few weeks in the spring. 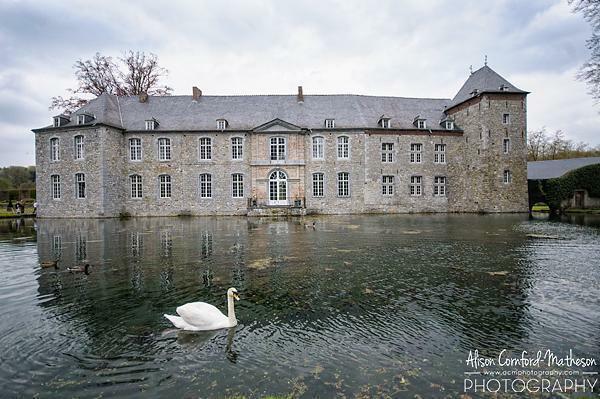 Gaasbeek also has a museum and medicinal garden and makes a great day-trip from Brussels. 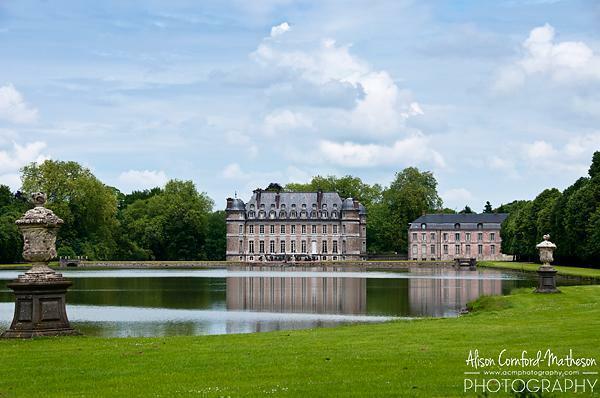 With its round turrets surrounded by water, Wallonia’s Château de Beloeil is truly picturesque. It was one of my favourite castles to photograph in Belgium and gets bonus points for its beautiful library. 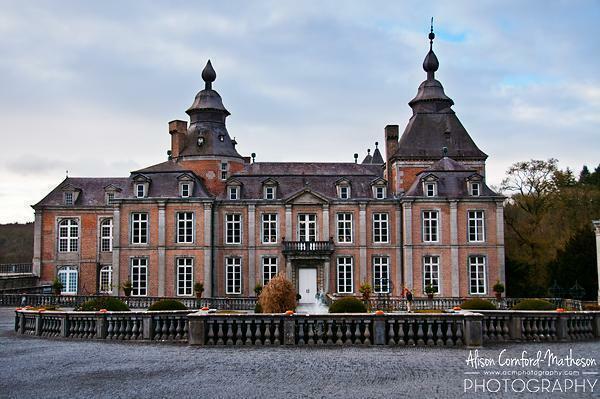 The Château de Modave, in the province of Liege, wins the prize for interior design, especially at Christmastime. For the holidays, the rooms in the castle are decorated by different designers and visiting is a great way to get into the festive spirit. Boetfort Castle, via Alessia Tavcar, on Wiki. 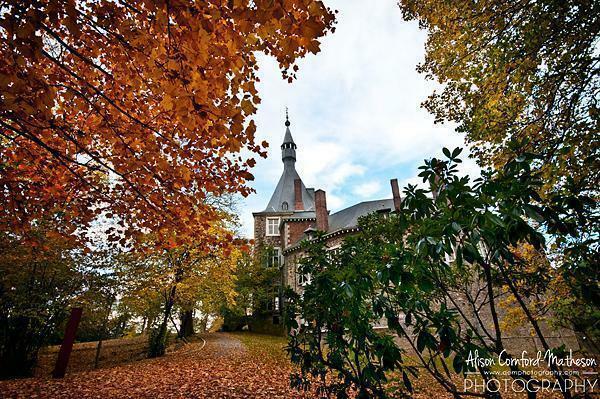 Boetfort is our pick for the best repurposing of a castle because it just happens to be home to our favourite spa in Belgium, Thermae Boetfort. The main castle building is now the spa’s restaurant. We bet you’ve never eaten in such luxurious surroundings – in your bathrobe. We love the Château de Waroux for its current use too. It’s now a lovely little art gallery where we saw an excellent exhibition of works by Chagall. It is also unique architecturally, as it is built in a circle. 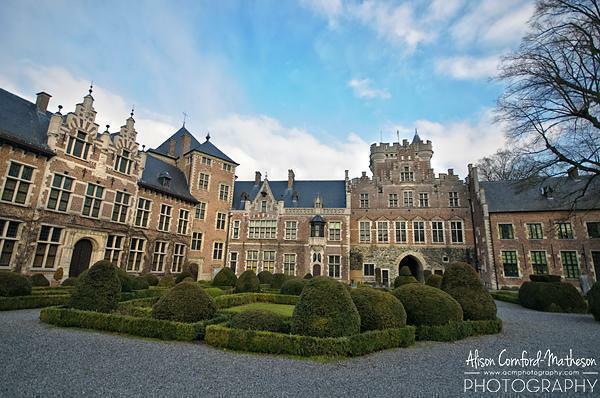 The Kasteel De Commanderie in Flanders’ Limburg province is one of the most stunning private homes we’ve had the honour of visiting. The owners graciously hosted a Vrienden van de Smaak event making it one of the most atmospheric meals we’ve ever eaten. 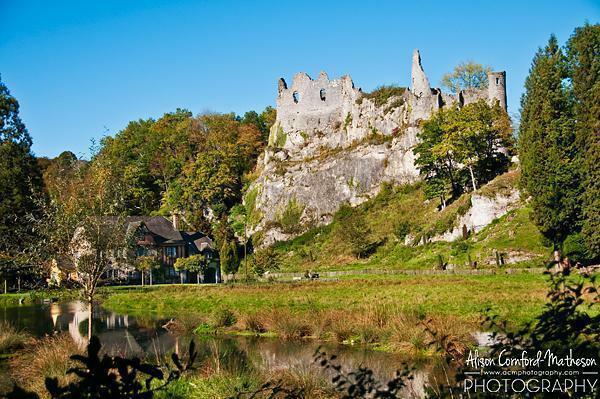 Montaigle Castle, in the province of Namur, wins Andrew’s pick for best castle ruins in Belgium. He loved climbing over the crumbling stone walls. Hiking to the top also offers a great view over the surrounding landscape. 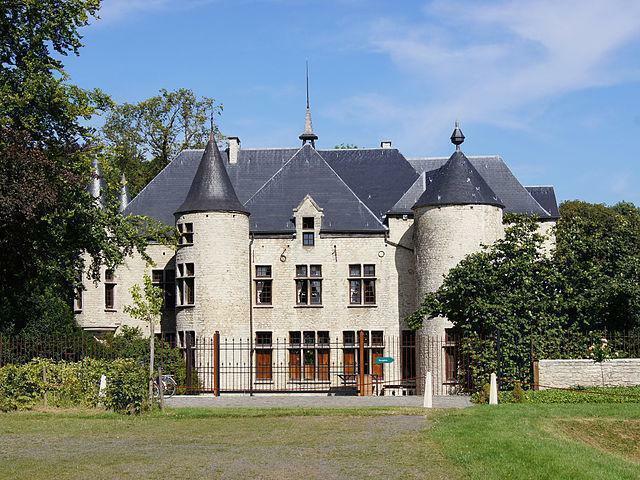 Last but not least, Annevoie Castle, near Dinant, wins our prize for the best (and strangest) event we’ve attended at a castle. The Venetian Carnival festival, held at the chateau each spring, is a dazzling display of close to 100 authentic carnival costumes, straight from Venice, Italy, in the heart of Wallonia, Belgium. 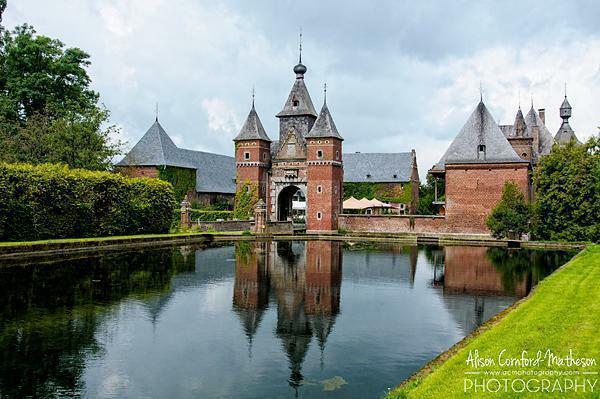 These 12 castles are just a sample of the fascinating castles you can visit in Belgium. 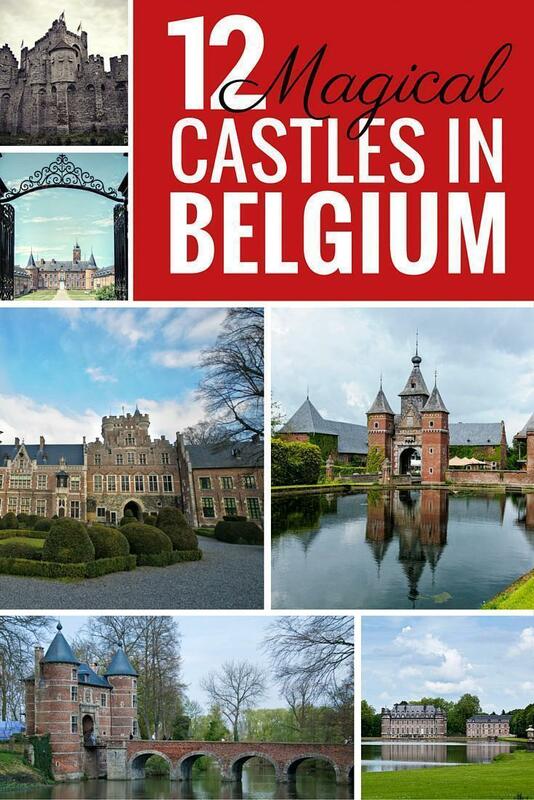 For even more Belgian castle goodness, check out our list and map of castles in Belgium.